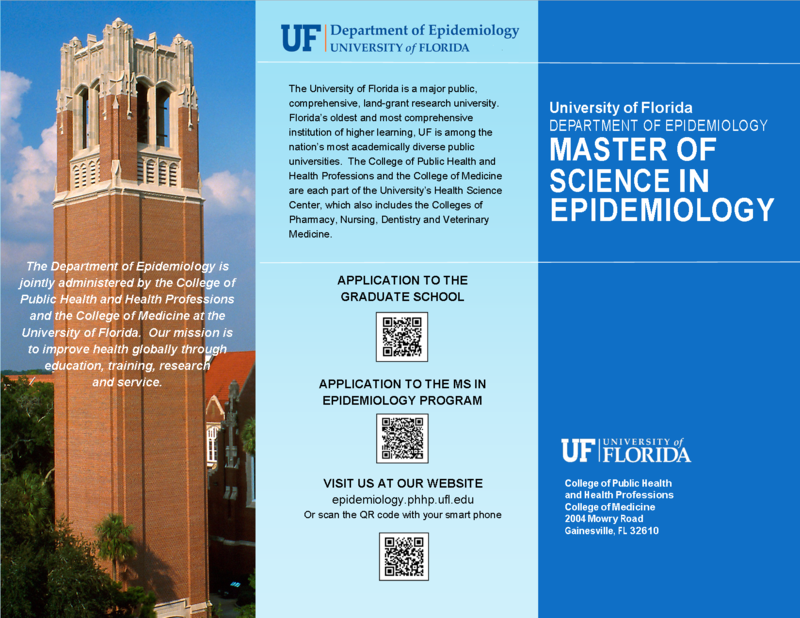 The Master of Science in Epidemiology degree is a 36 credit program that prepares students for careers in the public health arena that are focused on the surveillance and prevention of illnesses among diverse populations around the world. 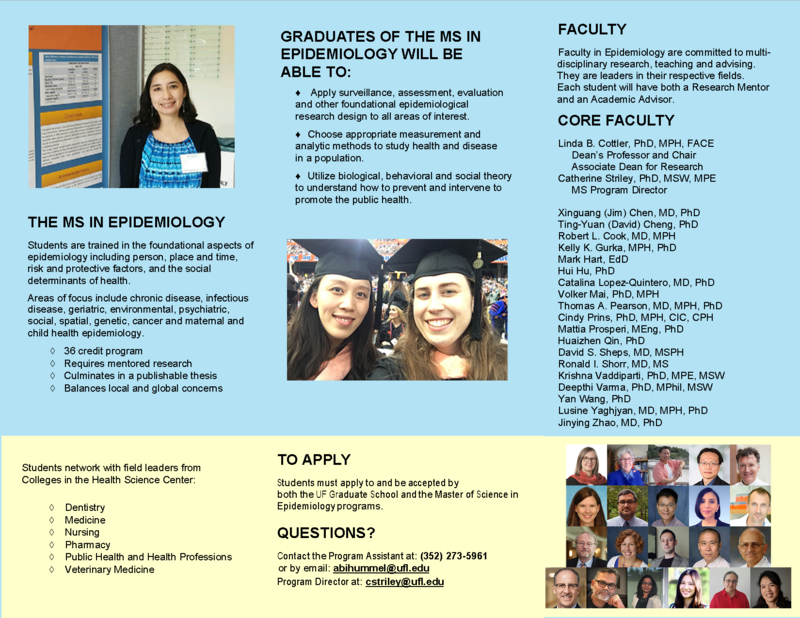 Students will be trained in the foundational aspects of epidemiology including person, place and time, risk and protective factors, and the social determinants of health. Areas of focus may include: chronic disease, infectious disease, geriatric, environmental, psychiatric, social, cancer and maternal and child health epidemiology. The thesis is required to demonstrate skill in independent inquiry and investigation, under the tutelage of a mentor. Utilize biological, behavioral and social theory to understand how to prevent and intervene to promote the public health. The program consists of required coursework and the successful completion of a thesis. Students may complete the course in four semesters, with 36 credits. The curriculum, graduate school and graduation requirements are detailed in the MSE Student Handbook. Use the navigation links to the left to browse our curriculum, courses, application processes, and frequently asked questions.